TO PRUNE OR NOT TO PRUNE? – THAT’S A GOOD QUESTION. Here we are in early January and we are having some nice weather and temperatures that allow us to get outside into our gardens and enjoy ourselves with our beloved plants. If there is one question that I get asked more than any other gardening question this time of year and that is about pruning shrubs and trees. For some reason, people see their plants, especially the deciduous plants, in a different light this time of year. Or, there is not much to do with the landscape this time of year and they see pruning as one good project to accomplish before the rush of the spring season. 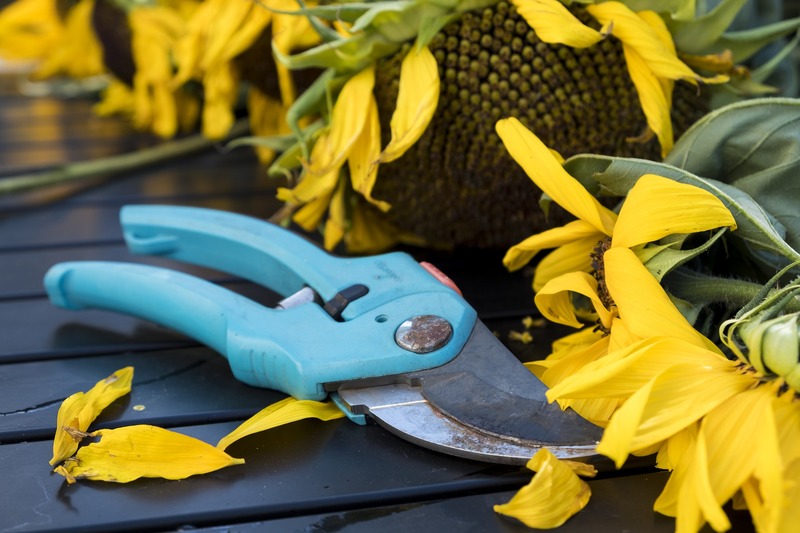 Whichever the case, it’s all about timing and proper pruning techniques to keep all your plants vigorous and healthy for the upcoming growing season. To help answer the pruning questions correctly, I always keep the Virginia Tech ‘A Guide to Successful Pruning, Shrub Pruning Calendar’ nearby. And, I keep plenty of copies available for handouts to customers. We have had enough cold days this winter that all our outdoor plants are now in a dormant state which is a very important factor to know before doing any pruning. Here are a few DO’S AND DON’TS when it comes to proper pruning. Don’t prune any evergreen plants, such as boxwoods or hollies, this time of year. Evergreen plants need their foliage to stay healthy through the winter. Now is a good time to do some thinning of some deciduous shrubs. Thinning is the complete removal of some branches back to the main trunk or the main branch. The deciduous hollies, butterfly bushes, roses, and the summer blooming hydrangeas, like Limelight or Annabelle, can be pruned back at this time. Do not prune spring blooming plants such as azaleas, Daphne, or rhododendrons. The time to prune spring blooming plants is just after they finish blooming. Bottom line, for some plants, pruning is not necessary. Matter of fact, there is a growing gardening trend to let plants grow naturally with unaltered growth. Now, this trend can only work if you plant the right plant in the right location taking into account the ultimate growing dimensions. I have Oak Leave Hydrangeas plants, should these be pruned now? I thought I heard somewhere just to let them grow. Then look like they are getting to leaf our at the tips. I hope I am not too late in getting back in touch with you about pruning your Oakleaf Hydrangea. Oakleaf Hydrangeas should NOT be pruned this time of year. Their flower buds are set. The proper time to prune would be after they finish blooming. And, prune only if needed. Personally, I like the natural growing habit of a Oakleaf hydrangea without any pruning what so ever. I have an Oakleaf planted for over 25 years and have never pruned. Its a great plant that is doing its natural thing. Its all about right plant, right location. Now, I have done some transplanting of volunteer new Oakleaf starter plants. Thanks Doug, I have pruned about 3 branches, so hopefully it won’t make a difference with the 5 bushes I’ve got bordering the side of my home. They are a beautiful plant & I love them!!! The reds are vibrant & flowers longlasting. Thanks Doug, I’m always hesitant to prune too much, but your post on roses (pruning now) made me prune my knockouts (6 feet tall) I have 6 Of them, don’t think they have ever been pruned; I pruned to about 3 feet. Hope they will bloom this year! !